On Tuesday June 7th we have scheduled a tour of the Utah State Capitol! This will be a FREE event, so come with us and learn some history of the building and information about our Utah State Government. 11:30am - We will meet at Memory Grove Park at 11:30am to have lunch (weather permitting). Please bring a sack lunch for each member of your party. 12:45pm - We will go over to the capitol for our tour to begin at 1pm. 1:00pm - If you cannot join us for lunch, please meet us at the tour desk on the East side of the capitol at 1pm. The tour of the capitol will last approximately 45 minutes. They do need to have an approximate headcount of how many will be on our tour, so please make sure to RSVP on Facebook of how many will be attending. If you do not have a Facebook account, you can leave a comment below of how many people will be attending with you. There are many fun things you can do with your children to prepare them for our tour of the state capitol. Here are some helpful printouts and links to look over with your children, or yourself! 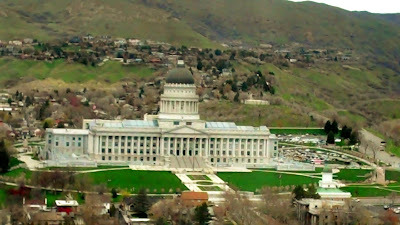 If you are not able to attend this tour with us, you can schedule your own tour, or do a self-guided tour of the capitol. Stay tuned for MORE Summer Adventure Series dates and events!